The Peltor WorkTunes WTD2600 has been discontinued, and replaced with the Peltor WorkTunes Pro When you purchase this product, you will be sent out the new upgraded version, the Peltor WorkTunes Pro! 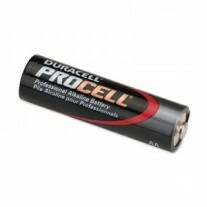 Same 3M quality with enhanced features and benefits! The all new Peltor Digital WorkTunes PRO HRXS221A-NA AM/FM radio earmuffs feature digital tuning, allowing you to change stations instantly. 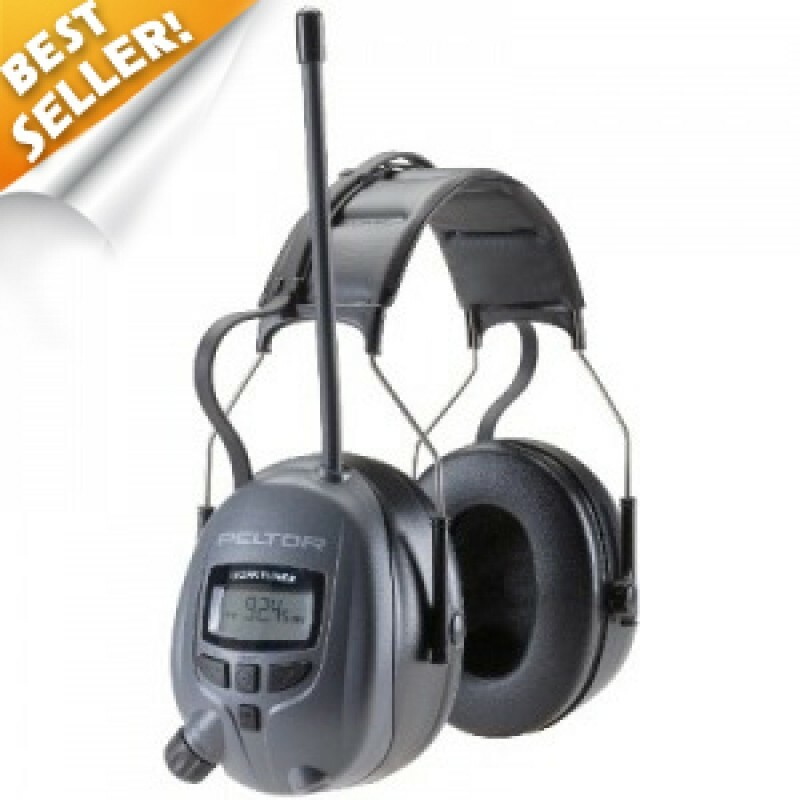 With this Peltor radio earmuff, there will be no more thumbing around trying to tune in your favorite radio stations! Use the supplied patch cord (3.5mm stereo) to connect to your MP3 player or Ipod. 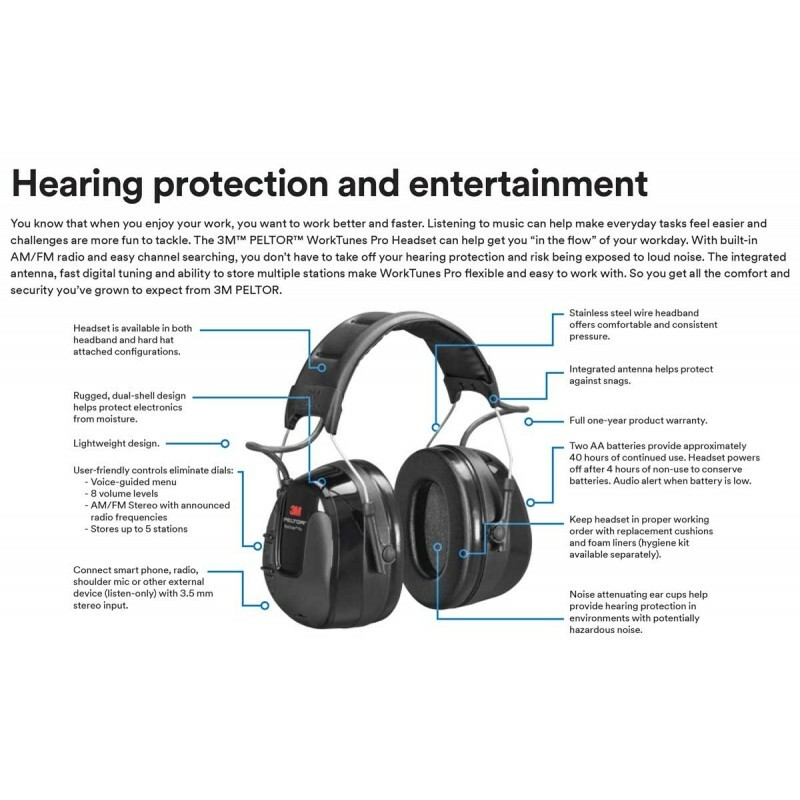 Also, unlike the previous WorkTunes headset, the new WorkTunes PRO has no external antenna, which makes outdoor activities even easier and less cumbersome! And yes, the Peltor radio earmuff HRXS221 offers more than just digital tuning, it protects your hearing as well! 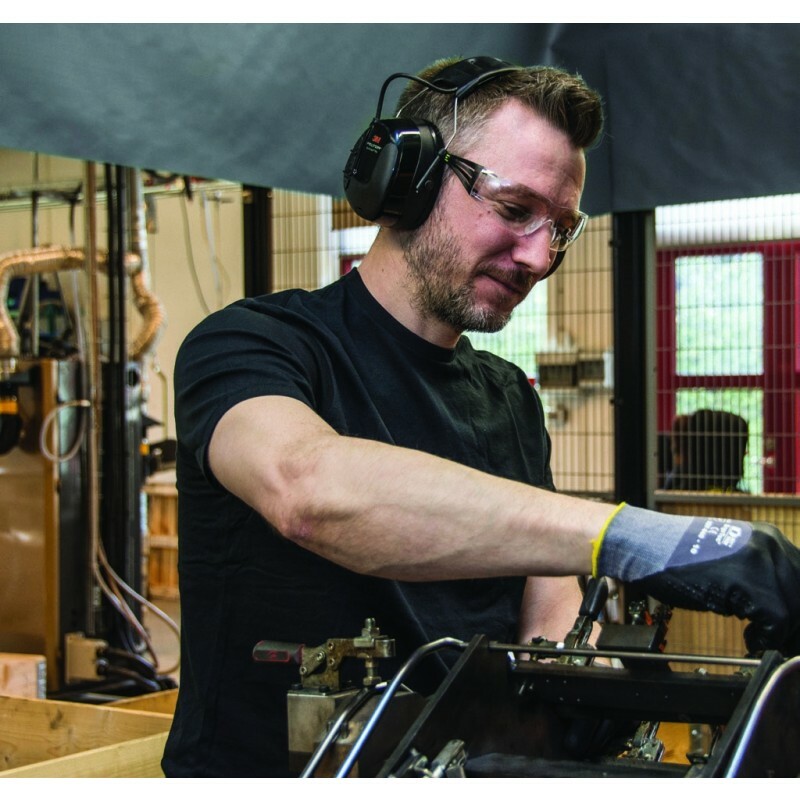 The Peltor Digital WorkTunes Pro has an NRR of 26 dB and it also limits the volume to a safe level of 82 dB. With the digital tuning you are also less likely to remove your hearing protection to tune in your favorite AM/FM radio stations. 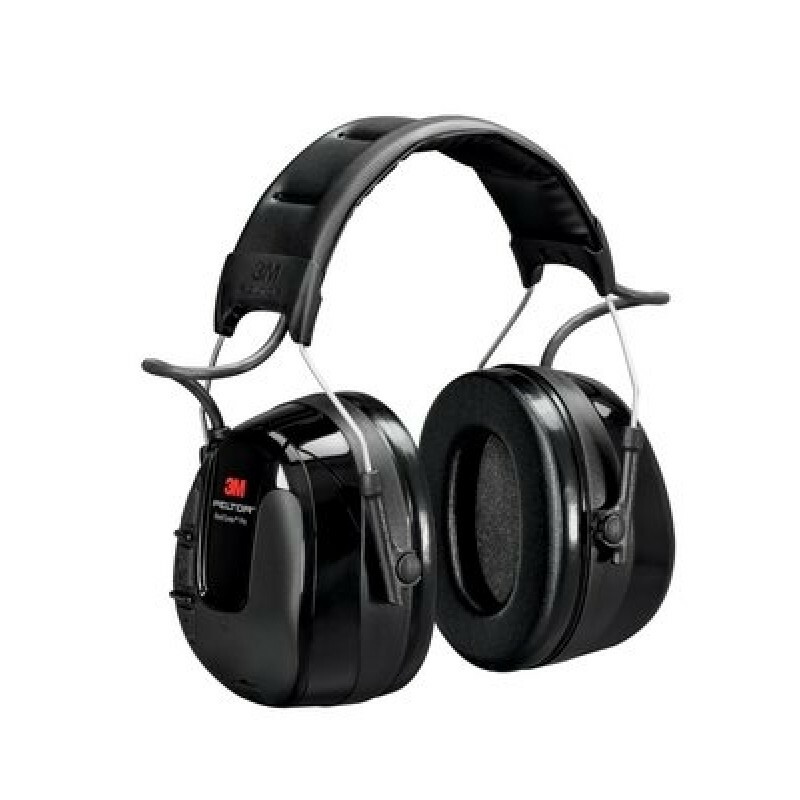 Review Review by Glenn S.
Good hearing protection. Comfortable to wear.